Last February I didn't blog the whole month. I almost let that happen again this February, but it's the 11th hour, and I've decided to stop the no-blogging madness. I finally got to meet my grand niece! She's 14 months old. 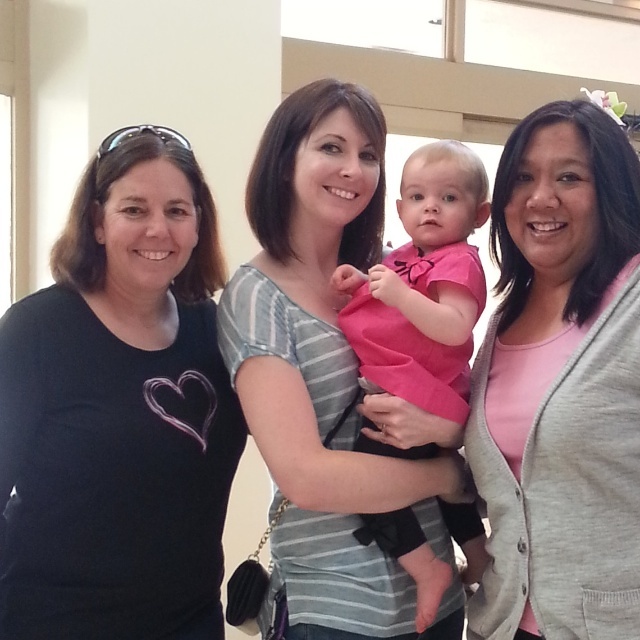 My niece drove over an hour just to have lunch with me and my SIL. Also got to see the nephews for a brief moment. And spent an evening and the next morning with my BFF and her kiddos. Jimmy had to work. He was recruiting at his alma mater. 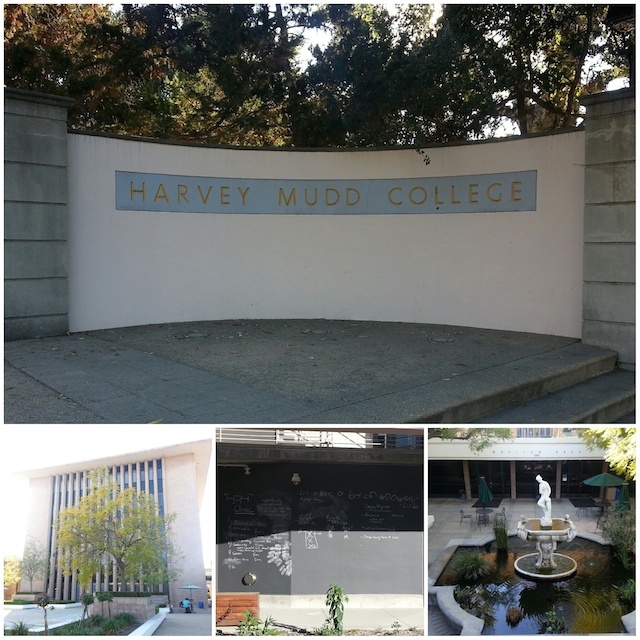 I went to college 15 minutes from here, at Cal Poly Pomona. So I spent a lot of time here, too. We were staying in Pomona at the fairgrounds. Here's a pic I shared on Instagram for Throw Back Thursday the week we were there. Jimmy was really into car races back then. 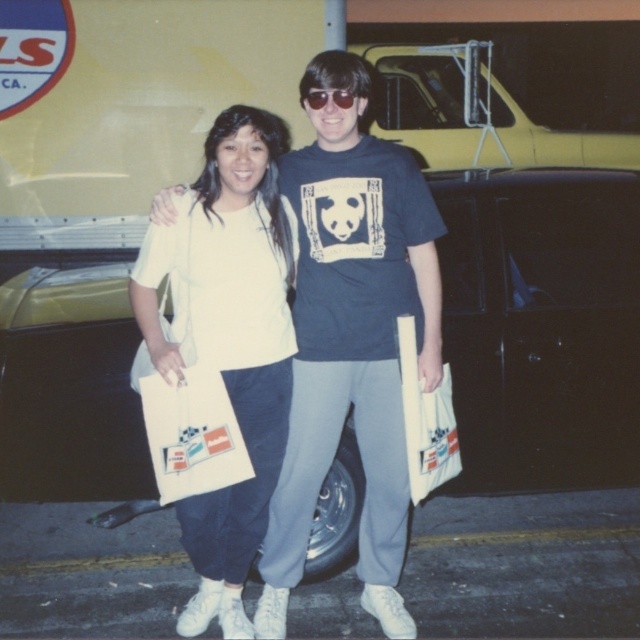 We went to the Winter Nationals in 1988 at the fairgrounds. It's hard to tell, but we're posing in front of the Grand National, not the moving truck. It was Jimmy's favorite car back then. I used to love the Saab 900 Turbo. Random. 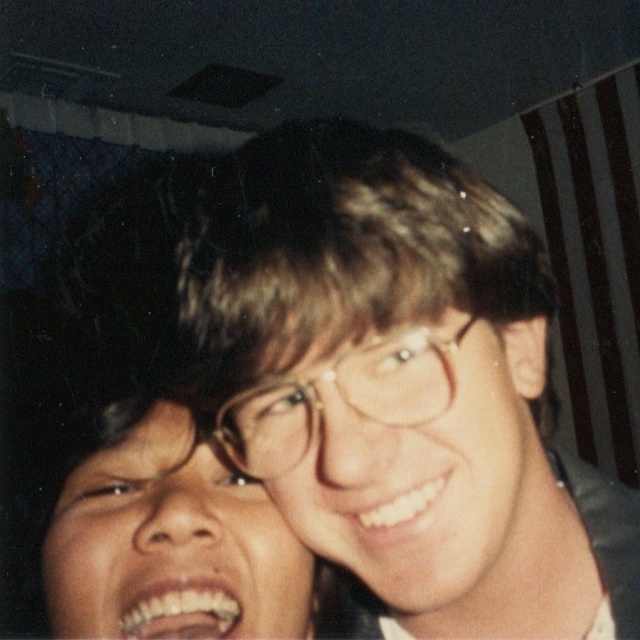 Our 1st selfie before 'selfie' was a common term. 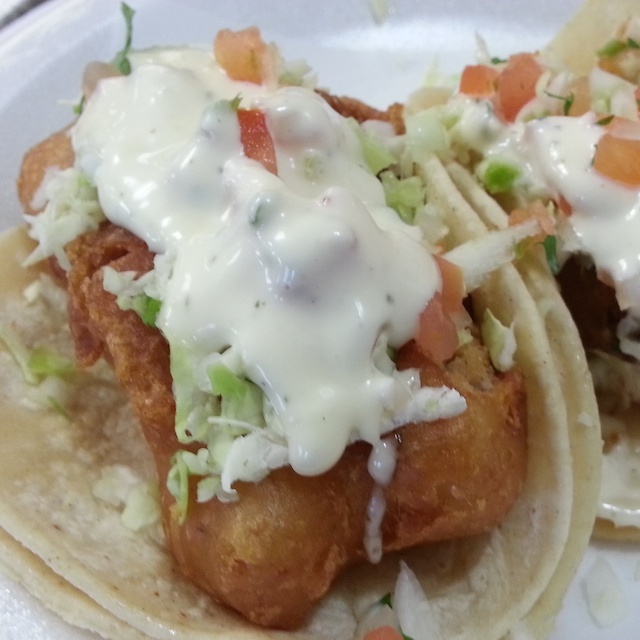 We treated ourselves to the best fish tacos in California...at a little hole in the wall in Pomona. Two nights in a row. We lamented that Jimmy didn't like Mexican food in college. I remember hounding him for Mexican food all the time but his version of Mexican food didn't extend beyond Del Taco. Now it's probably our favorite style of grub. 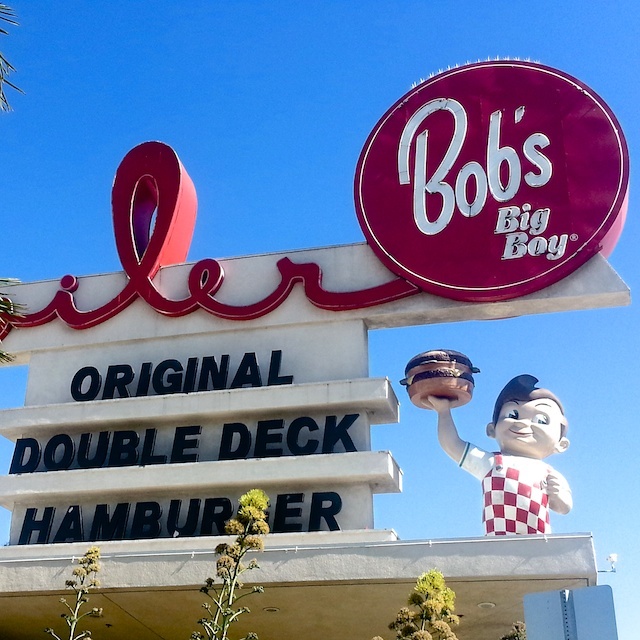 Before leaving Southern California, we stopped at another favorite, Bob's Big Boy. There's a whole hockey store down there that sells just goalie equipment. Not even regular hockey skater gear, just goalie! It's huge and Jimmy's version of my craft store. 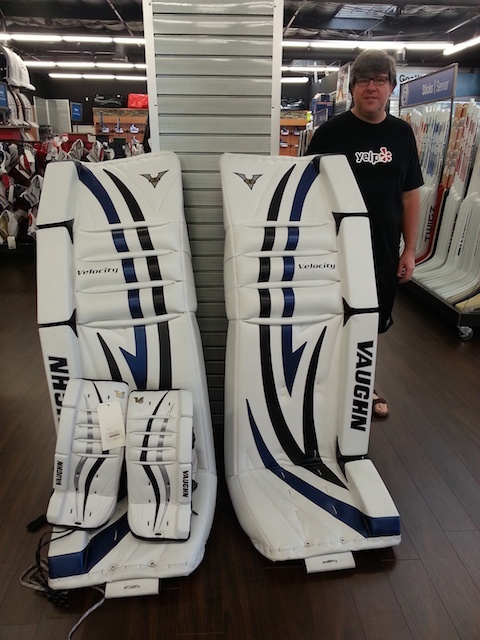 Couldn't resist a snapshot of these King-kong sized goalie pads. Jimmy actually went to work this way one day last week. 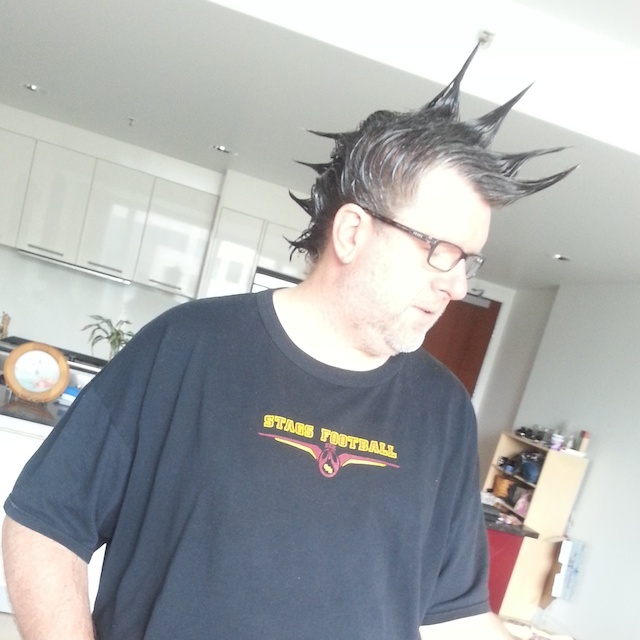 The day before, he won a bottle of "Gorilla Snot Hair Gel" and was told to come into work with spiky hair the next day. One of their mottos is to "Be Unboring". Nailed it. Apparently you're suppose to change the strings on your guitar every 3-6 months. Who knew?? The strings on my guitar were over 5 years old, but only used consistently for the last year or so. But they were due for a change. I was nervous changing them, but I did it all on my own. My guitar has never sounded better and motivates me to play even more. Oh I love looking at the old photos. You hardly changed. What if "Gorilla Snot Hair Gel" is actally made from real gorilla snot? Ewwww.... bet he wouldn't be so keen to paster his hair with it then! 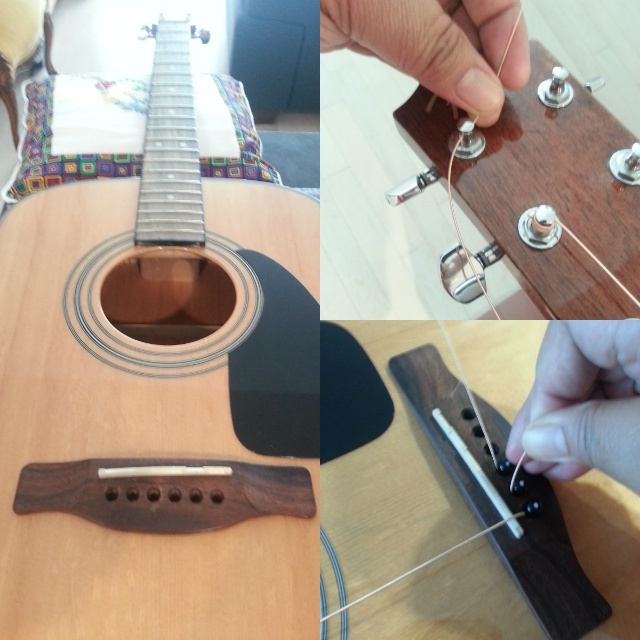 Very clever to change your guitar strings unassisted, you're getting to be quite the professional guitarist, Ms Mad. PS Mexican food is almost my favourite, next to Indian food.... but I really like Thai food, and Japanese food.... let's face it, I like food. Enjoyed your updates. Life is CA is GOOD.